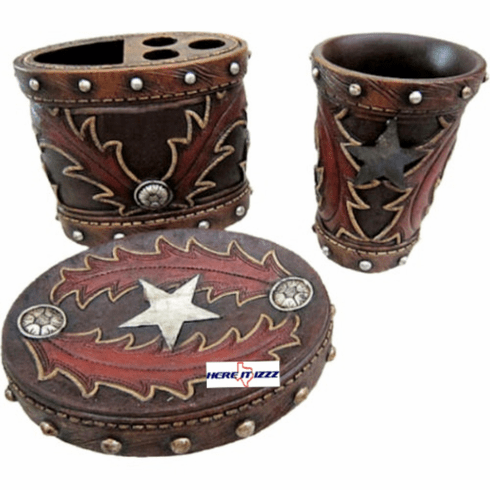 Greet your guests to the most unique style of Western Decor available. Fabulous looking 3 piece vanity set will update your bathroom in your horse barn or mobile home. Great looking set includes the Tumbler, soap dish and toothbrush holder.